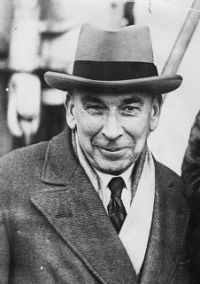 Newton Booth Tarkington (July 29, 1869—May 19, 1946) was an American novelist and dramatist best known for his Pulitzer Prize-winning novels The Magnificent Ambersons and Alice Adams. Tarkington's works often centered on life in the mid-west among everyday Americans attempting to live out their dreams. His literary pieces earned him much fame and attention during his lifetime and led him to win many awards for his work. His idyllic settings made his novels and plays popular with the public. His work described Americans at their best, living lives of carefree bliss in a blessed land. This may not have described what many people actually experienced but it did represent what many people wanted for themselves and for their families. 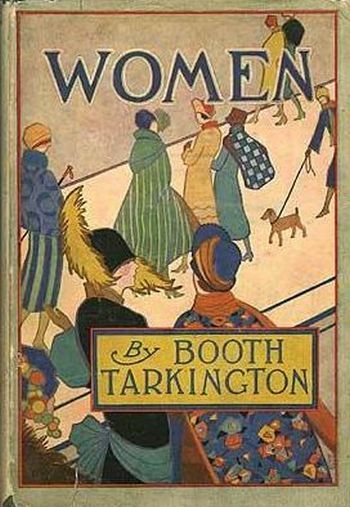 In the 1910s and 1920s, Tarkington was the great American novelist, as important as Mark Twain. His works were reprinted many times, were often on best-seller lists, won many prizes, and were adapted into other media. Tarkington began losing his eyesight in the 1920s and was blind in his later years. He continued producing his works by dictating to a secretary. Despite his failing eyesight, between 1928 and 1940 he edited several historical novels by his Kennebunkport, Maine neighbor Kenneth Roberts, who described Tarkington as a "co-author" of his later books and dedicated three of them (Rabble in Arms, Northwest Passage, and Oliver Wiswell) to him. Epub 20190225.epub If you cannot open a .mobi file on your mobile device, please use .epub with an appropriate eReader. Mobi/Kindle 20190225.mobi Not all Kindles or Kindle apps open all .mobi files.